Back in NYC, Natalya and I were both pretty diligent about making our own salad dressings. The simple olive oil + balsamic vinegar + seasoning was always a healthy classic. 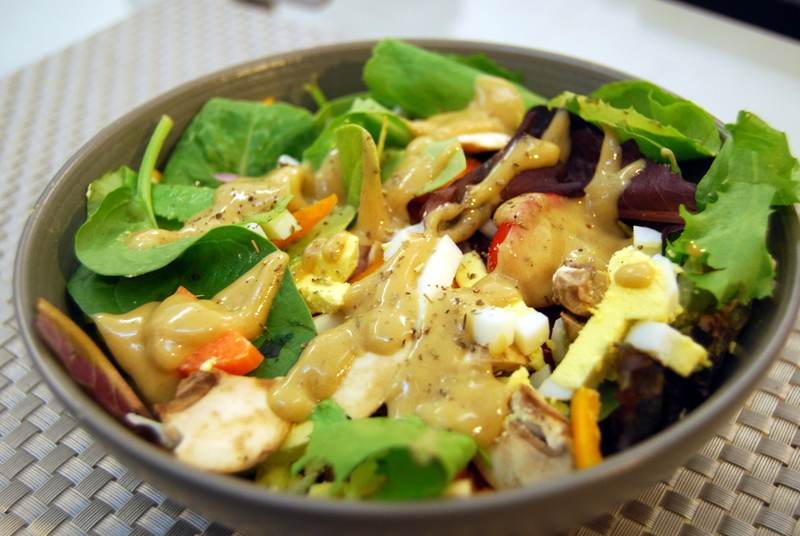 Occasionally, we would take it up a notch and get fancy with our homemade salad dressings. I only realized how ambitious we were when searching for dressing/ vinaigrette posts on this blog: Lemon Vinaigrette, Curry Vinaigrette, Garlic-Cumin Vinaigrette, Buttermilk-Chive Dressing, Cilantro Lime Dressing, Soy Sesame dressing to name a few… and as a result, I also realized how lazy I have been since then. During a recent grocery shopping trip, I was massively chef-peer-pressured out of buying a bottle of creamy Thousand Island dressing. My friend Andrei made me put back the overpriced bottle of imported dressing and I begrudgingly agreed to make my own dressings at home. The good (and bad) thing about home food prep is you are forced to realize exactly what goes into everything to make it taste so friggin’ amazing. Medium-length story short, I ended up finding a salad dressing recipe that wasn’t 90% mayonnaise. 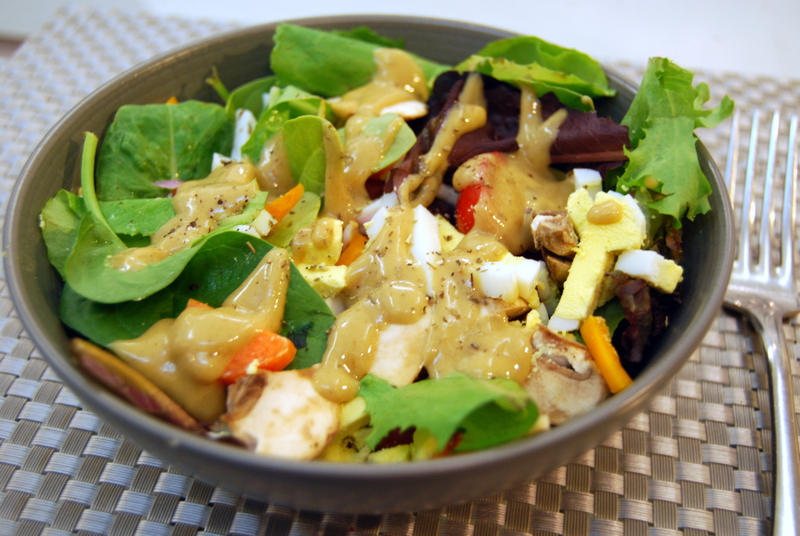 Heather’s Dish introduces a “fail-proof” Honey Mustard salad dressing that is spicy, sweet, tangy, smooth AND mayo-less. Heather suggests two easy ways of making this dressing. 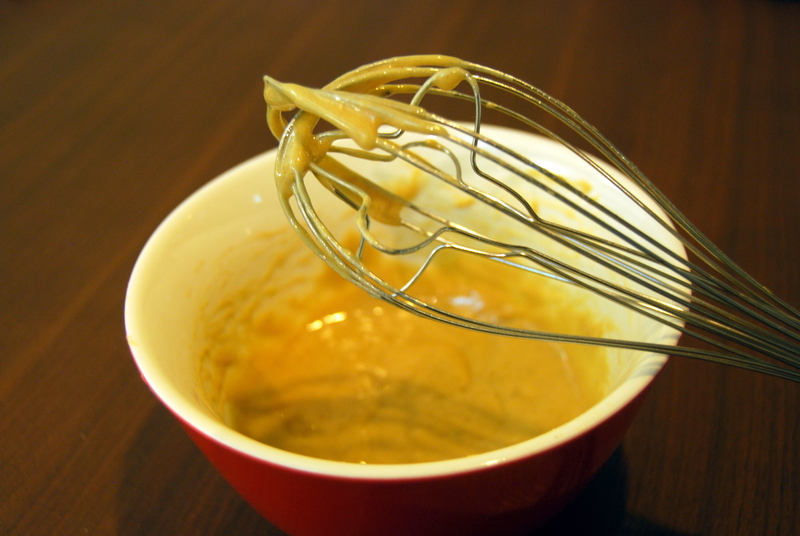 Method 1: Toss all the ingredients into a bowl and whisk until everything is silky and smooth. Method 2: Toss all the ingredients in a jar, stir lightly with a fork, and then shake until smooth and silky. Drizzle on top of salads to give it that tangy sweetness, and also I can imagine it would make a delicious marinade for poultry or meats. The dressing can be stored for up to a week in the refrigerator.